Our organization is engaged in offering Kota Blue Limestone to valued clients. These limestone are checked with various parameters and ensure before sending it to the clients. These limestone are easily adjustable as per the need of the clients. 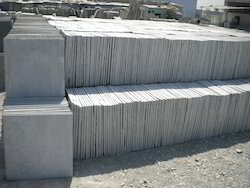 We are offering Kota Black Limestone to our clients. With an aim to stand tall on the expectations of our reputed customers, we have come up with quality-assured Kota Brown Limestone. Offered Kota Brown Limestone is processed in accordance with the defined quality standards by making use of the cutting-edge technology. Matching on the diverse needs of the patrons, we provide the first-class of Kota Brown Limestone Tile. The Kota Green Limestone Tiles we offer are available in exclusive finishes. Kota Green Limestone Tile is notable for features like long lasting and resistant to extreme weather conditions. Limestone Tiles are used for various interior and exterior architectural purposes. Customers are offered the Kota Green Limestone Tiles at reasonable prices. 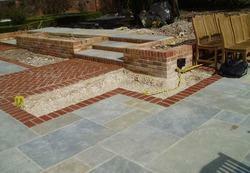 Brown Kota Stone is available in various size.